We often ignore films that are not English. Maybe not to deliberately reject that which is “the other” but rather out of laziness because we don’t feel like reading subtitles. These days, it is also harder to find those films on most popular streaming services as they offer only what they think will draw a large number of the audience. However, there is so much richness hidden beyond the limits of the English language, so many foreign directors waiting to be discovered; so many stories and cinematic techniques we can learn from. For that reason, I’ve created a list of TOP 10 directors who never filmed anything (major) in English. This list is done alphabetically because all of them are amazing in their own right. I didn’t want to impose numbers so that you see best-ranked films/directors, rather I hope that you enter the world of foreign films based on whose work suits your sensibility. And, no, this list is by no means inclusive of all amazing foreign directors – there is tons and tons to choose from. This is just a beginning. This July, the world is celebrating 100 years since the birth of the Swedish cinema giant. Considered by many as one of the most important artists of the 20th century, Bergman created films that questioned the human condition: loneliness, death, sexuality and religion. These days, thanks to the anniversary of his birth, many of his films are available for streaming: you could start with the Autumn Sonata (1978) starring Hollywood-famous Ingrid Bergman. No, these two are not related. Claire Denis’ first English feature is coming out soon, however, for now, we can still include her on the list. Denis tells people’s stories through everything cinema can offer: sound, colour, texture, composition. Her focus on people and her ability to tell their stories with pictures instead of large amounts of dialogue is simply brilliant. All in all, Denis is a master stylist that every cinema lover should check out. Personally, I loved 35 Shots of Rum (2008) from the first time I’ve seen it. Asghar Farhadi is a current Iranian filmmaker. He won two Oscars for Best Foreign-Language Film, one in 2012 with A Separation (which FlickFeast’s own Keith Beard claimed a masterpiece) and second in 2017 with The Salesman. His films often talk about gender difference, currently a very topical – and utterly important – theme. Farhadi’s work is less cinematic and more script-based than the work of most of the filmmakers mentioned on this list, however, they are definitely a great watch. RW Fassbinder is a great director from whom to learn about Germany: a nation that throughout history had to accept their recent history and question what that does to their identity. Fassbinder’s films, such as the amazing Ali: Fear Eats the Soul (1973), capture the German society during the later post-war time of 60s and 70s. His films are usually made with a small cast, focusing on a couple of characters who are most often outsiders unwanted by the society. The stories told by Fassbinder are intimate yet very large, posing questions still relevant today. Federico Fellini captures pure magic on screen. He never went to a film school but was rather influenced by Italian culture in which he lived – from what he saw in the streets to what he heard on the radio. Thus, to portray desire, memory, dreams, and fantasy on screen, he uses extravagant, baroque images. This feature makes his films a pure joy to watch, as they are truly some of the visually most stunning films ever made. I still cannot decide between 8 ½ (1963) – “one of the most experimental explorations of the boundary between reality and illusion from its decade” and the comedy Amarcord (1973), for as much as I try. 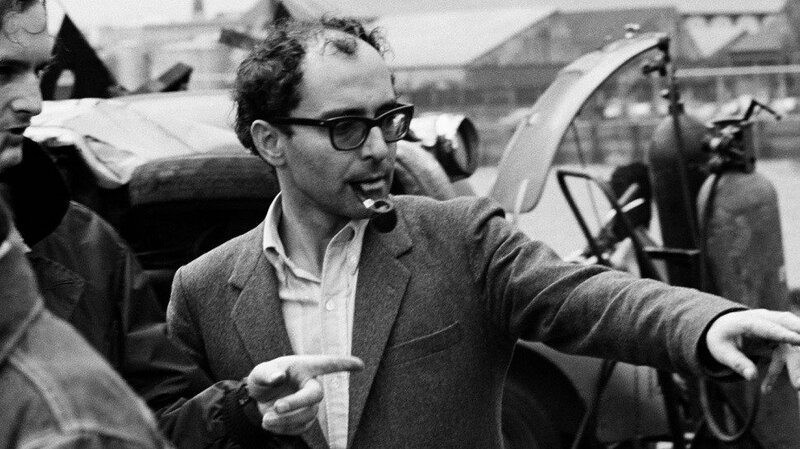 Another New Wave director, Jean-Luc Godard is a French-Swiss director famous for the film Breathless (1960). Godard’s aim with his work was not only to entertain his audience but to make the viewers active participants, waking them intellectually. Films by this New Wave icon are a feast for both the brain and the eyes. Originally a Polish director, Kieslowski made films in both Polish and French. He is again one of the directors enjoying difficult themes and fundamental questions about destiny, identity and chance. Thus, his films, including my favourite A Short Film About Love (1988), are often initially difficult to watch, but you soon thank them (and the director) for the journey which won’t leave you as you were when you started. Akira Kurosawa is one of the most important filmmakers in the history of cinema and possibly the most famous Japanese film director. Kurosawa filmed across genres and periods, and was also hugely influenced by Western cinema, which made his road towards international acceptance easier. His film Seven Samurai (1954) is almost always included as one of the best films of all times and remains to be one of the most remade films in history – though not always successfully. Tarkovsky is a legend in the cinema world. Bergman famously said of him: “Tarkovsky is for me the greatest, the one who invented a new language, true to the nature of film, as it captures life as a reflection, life as a dream.” Annoyed by short cuts, Tarkovsky used long shots in long films – however, they don’t bore, but rather draw you into the story more than most other features. If you are reluctant about longer films by an author you don’t know, start first with the shorter Nostalgia (1983)! One of the founders and the leading figure of the famous French New Wave movement. His film 400 Blows (1959) is a New Wave classic and a must-see for everyone even remotely interested in cinema. French New Wave, one of the most influential film movements, was a rejection of films based on literary period pieces. It was a movement taking on more current topics shot on location and a call to experiment with the form. Žad is a Comparative Literature student who is trying to bring international theatre, cinema and literature into the spotlight. She believes exposing people to artworks from other countries helps fight inequality and xenophobia. However, you will just as often find her watching a good oldfashioned film noir or a screwball comedy.